It’s difficult to get along during the summer in Warsaw, IN if your home doesn’t have central cooling to keep it at comfortable temperatures. You can’t rely on window units to take on the job for a multi-room home! You’ll need professional installers to put in a system, either a standard split system or a ductless mini-split system, that will see to your household’s comfort. If you already have air conditioning in your home, you must make sure that you keep it working in the best possible shape. That requires annual maintenance visits, and it may also call for repairs from time to time. Collier's Heating & Air Conditioning has all the air conditioning services you may need in Warsaw, IN and the surrounding areas. Our team of AC specialists will provide you with whatever assistance you may need, and you can reach one of our technicians any time of the day or night. There are different models and sizes of air conditioners available today, and that’s one of the reason that you must look to licensed, NATE–certified heating and cooling specialists for new AC system installation. Only a professional will be able to match your home with a cooling system that will provide you with comfort while also avoiding energy waste. 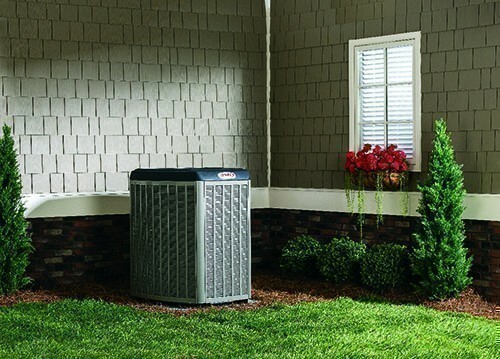 The most common type of residential air conditioner is a central AC split system, which uses indoor and outdoor components. A blower fan connected to the evaporator blows cooled air into ductwork and then to the different rooms. An alternative is the ductless mini split, which doesn’t connect to a ventilation system but instead sends air straight from a series of smaller air handlers mounted in the rooms. Heat pumps are also worth considering: these are air conditioners that can reverse the direction they operate so they can function as heaters. There are two important tasks when it comes to proper air conditioning service that will see that an AC lasts many years: repairs and maintenance. It’s not always easy to know when you need the former, but the latter is something you should have done every spring. We offer the Home Savers Club to regularly tune–up your AC (and your heating system), and this will help a system experience few problems, work at high efficiency, and reach its manufacturer’s estimated lifespan. There’s no ironclad way to avoid repairs, however, so keep a close watch for early indications that something is wrong with your cooling system. Should you hear strange sounds from the AC, notice ice along the evaporator, or feel a drop in air flow from the vents, don’t hesitate to call our repair technicians for repairs done fast and right. 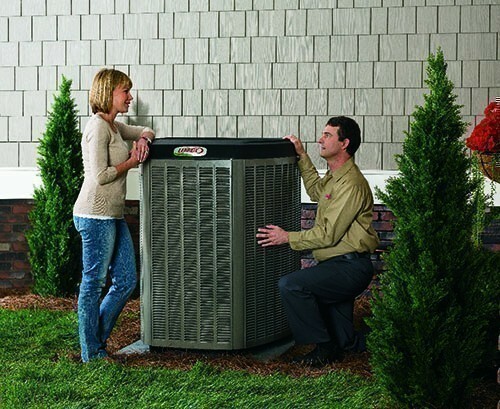 Tell Us What AC Services You Need, And We’ll Be There! Collier's Heating & Air Conditioning is committed to customer service as our number one priority. We want you to be completed satisfied with the work we do to provide you with air conditioning. It makes no difference if it’s a simple repair or installing a complete new central air conditioner: we’ll come through with the high quality work you deserve! We take pride in offering friendly and personal service, so you will always reach a person, not a machine, when you call us. The next time you need help cooling off with your air conditioning in North Central Indiana, reach out to us.